The myGRILL Chef SMART can grill especially for you fish lovers’ favourite: Salmon. The truth is that salmon demands really good care when cooking it, because it’s such a delicate ingredient. When not cooked to its done-ness it can be easily transformed into a failure dish, either undercooked or overcooked. And we wouldn’t want this do we? Care for some good salmon grilling tips? We have gathered cool tips for you below! 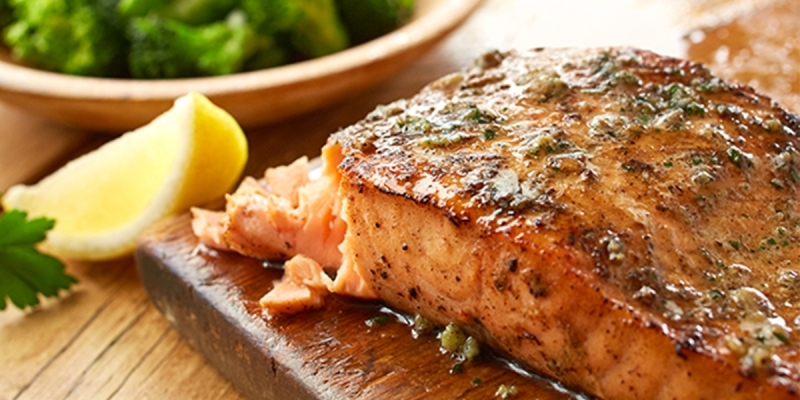 Grilling salmon is one of the perfect ways to cook it because the fish has the ability to tell you when to flip it. You must be wondering now, how, right? I mean will the fish talk? Well not quite it. With traditional grills, when you grill the salmon with flesh side down first, the fish will release from the grill at the moment when it’s done and ready to flip to the skin side. All you have to do is pay attention! However, with myGRILL Chef SMART all you have to do is to allow it to do all the flipping for you. That easy! For more flavour for your grilled salmon and nice tenderness, you can rub the grates with some nice seasonings and oil of your choice. Make sure not to overheat the grates when using olive oil as olive oil will burn and destroy the flavour of your salmon. Kind reminder: rubbing the myGRILL cooking grates will only be done for flavour. Your charcoal will look ready to grill the salmon once the coals are red and starting to ash over. Always start grilling the salmon with flesh down! This is a rule of thumb when grilling salmon. Once you are into grilling the salmon, if you see a lot of white seeping out of the fish it means it is overdone! A little white is accepted. So be careful. Pull of the salmon while it is still red inside as it will continue to cook when you remove it from the charcoal. Let it rest before serving for about 5-7 minutes!